In this post I am looking at Information Technology. This strand of the curriculum covers most of the areas from the old ICT scheme of work. Most of it can be covered by using technology to support other subject areas though it may be necessary to teach some discrete skills. Relevant tasks include word processing, creating images, taking and using photographs and video, creating music and animations, using and creating databases, producing websites and contributing to blogs. As well as creating materials pupils should have experience of manipulating and editing their own work and resources from elsewhere. They need to know how to use the tools available but also to have an awareness of audience and good design principles. Pupils should experience a range of different applications and software, initially the teacher will select the programs they use but over time pupils should be encouraged to make decisions themselves. Pupils need to know how to store and organise their files so that it can easily be found again. They need an understanding of the devices they can use including: hard drive, network server, USB sticks and the Internet. Pupils should understand that technology is everywhere and be able to identify technology they encounter and have a basic understanding of how it works. This will link to work on programming and algorithms. Using technology allows staff and pupils to be creative. 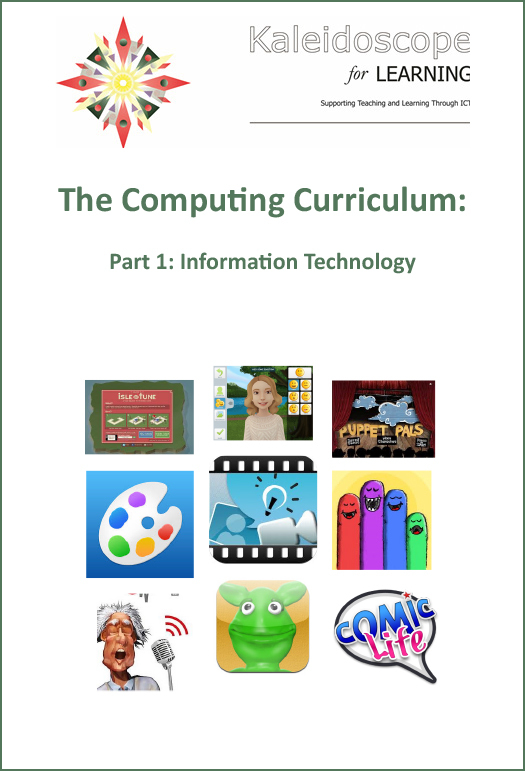 Some suggested apps to support the Information Technology strand of the computing curriculum are available in this pdf file: Apps to Support the Curriculum and new ones will be added regularly. Some of the best will be featured on this blog. Apps will be chosen for being open ended so they can support creativity across the curriculum. This entry was posted in ComputingCurriculum, Learning, Teaching and Learning and tagged Curriculum, Schools, Support. Bookmark the permalink.